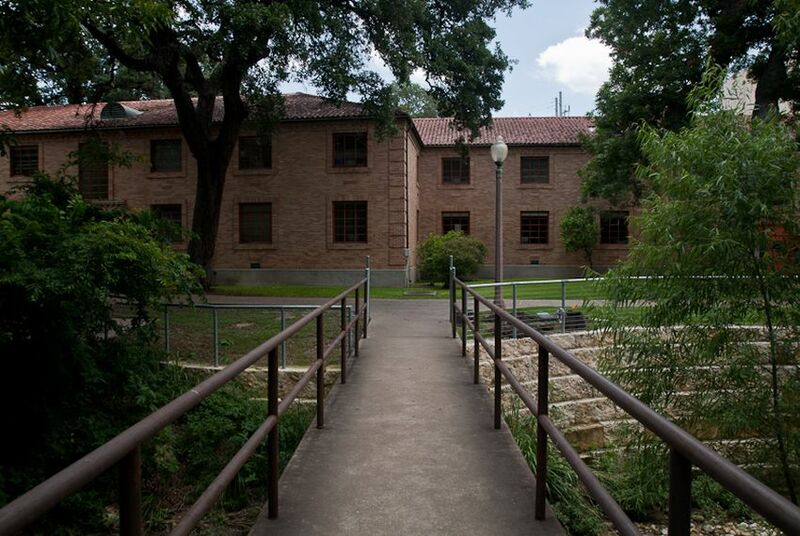 The University of Texas System Board of Regents voted unanimously this morning to rename an all-male dorm Creekside Residence Hall after weeks of debate about the man the building was originally named for: William Stewart Simkins, a dead UT law professor and Ku Klux Klan organizer. The sign in front of Simkins Residence Hall is set to come down by the end of the day tomorrow. The University of Texas System Board of Regents voted unanimously this morning to rename the dorm Creekside Residence Hall after weeks of debate about the man the building was originally named for: William Stewart Simkins, a dead UT law professor and Ku Klux Klan organizer. Regent Printice Gary, moving to rename the dorm, thanked UT-Austin President Bill Powers and students for their participation in two public forums and a series of advisory group meetings. "In my opinion, the process was thoughtful and expeditious," Gary said. He said honorifics at other American universities for figures of the Jim Crow South, "ridden in racial and ethnic hatred," probably exist. "The difference here is that we acquired specific knowledge" of Simkins' past, Gary said. He was referring to a paper by a former UT law professor that detailed Simkins' aggression toward African Americans. Powers, who proposed the change to the regents, said he was satisfied with the outcome Thursday, saying the process will "help our students to understand the history of our country." Though most who turned out to the public forums supported a name change, the process mattered, said Vice President for Diversity and Engagement Gregory Vincent. "We thought this was an important educational moment," he said. Vincent said one of Simkins' descendants had come forward to point out that Simkins' service to the faculty earned him the name on the dorm and "that service has not changed." "We're not erasing Professor Simkins on our campus," Vincent said. "He's still in the history books." The portrait of Simkins that hangs in the law school will remain, Vincent said.